Old smiling doctor talking on the phone. Portrait of old doctor using smartphone in green hroma background. 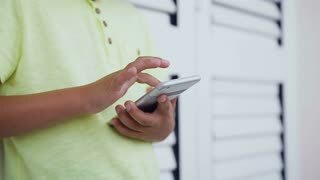 Young boy using smartphone on white background. 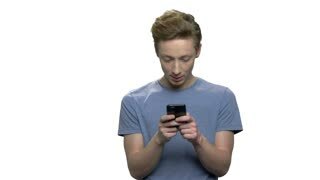 Caucasian teenage boy typing a message on his phone. People, technology, internet communication. 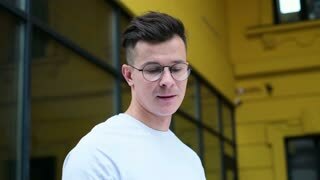 Portrait of cute boy using smartphone. 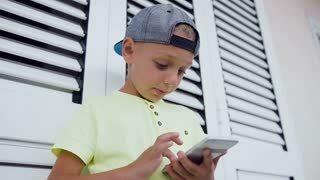 Lovely kid surfing internet on digital smartphone. Blurred urban background. Happy little 4-6 year old European boy using smartphone entertainment app in car child safety seat during day ride. Happy excited little 4-6 year old Caucasian boy smiling, using smartphone sitting in car child safety seat with a toy.